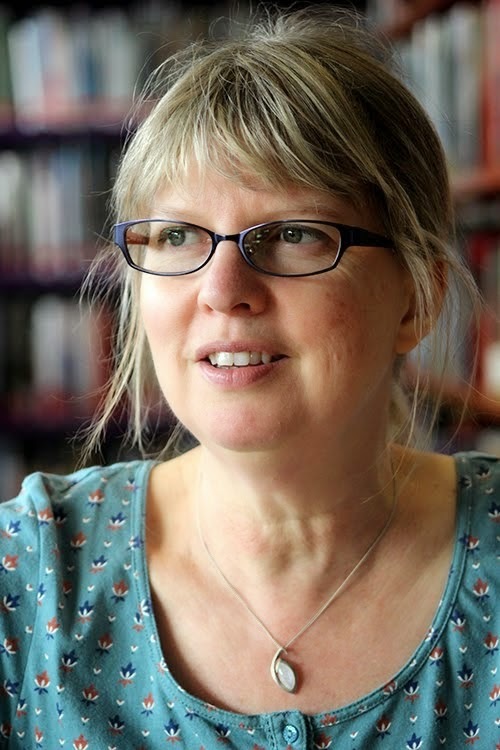 Jeannie Waudby - Author: Researching a novel. It’s fun researching a novel. I once spent an interesting morning on my birthday talking to a historian in my local library about the battle of Culloden, its causes and aftermath. Another fun afternoon involved going to the St Bride Foundation in London, looking at the printing presses and re-familiarising myself with how they work. I worked in a printing press years ago, setting type by hand, so it was strange to hold the stick and set a sentence again. I’d thought my hand would remember where to find all the letters, upper and lower case, but after all these years I had to look at the guide. That book is second on my list to finish. I still need to make a fun research trip to a stately home to check out a staircase. It’s almost a guilty pleasure because the link between the research and the actual finished book is sometimes quite tenuous. “I think the spark in your story is you. Your voice is your voice.” You can read the whole post here. It made me think about finding the truth in your story and how it has to be your truth, something from deep inside you that finds its way out. My research for the book I’m writing now never felt like research at all. It began years ago. I was on an aeroplane on the way to Scotland, leaving Heathrow. It was an especially sunny, clear day and I was by the window. The plane looped round over west London and I suddenly realised that I could see the Wembley arch. Then it was easy to find the running track in my local park, red against green. From there I traced the path where I walk my dog, and even the roof and garden of my house. But the thing that really struck me was all the green. Where I live is busy and built-up – main roads, industrial estates, trains and tubes. You can always hear sirens and traffic. And yet all around, seen from the sky, are huge areas of green. So I started looking for them on my bike. Now I love to find an off-road route to somewhere I need to go. It feels amazing to think that I’m still in London, yet cycling along a peaceful canal. It wasn’t meant to be research, but the canals and footpaths, golf courses and allotments have nudged their way into my story. Of course now that I know that, I can plan a fun day’s research cycling all the way to Paddington along the canal. It’s not exactly essential research, but I’m really looking forward to it. I love how this happens - if we open our minds and hearts we can see things differently - how ideas are sparked and flourish. I've been struggling it a scene in my new book because it's set somewhere completely outside my experience - next week I'm getting to visit a place and meet some of the people that will have the answers. That experience will filter into my story in unexpected ways - I love that about the journey of writing. And I bet you're really looking forward to it! There is something very exciting about setting out to find something for your story, because you know that the thing you do find probably won't be what you were looking for. What a lovely post. And guess what: it's not procrastination. You're just marinading your brain in preparation for all the words you are about to gather up into a story. I love that phrase, Candy ... marinading our brains ... It sounds a lot better than daydreaming! I just wanted to say, though not a teenager, I loved your story "One of Us". It is really fitting in our current cultural climate and was very engaging. The love story was beautiful. I immediately went to try to find your other books, so I hope you keep writing! Thanks! Thank you very much. So nice to read this, and I'm very glad you liked the love story. I am still writing!